Olga, I have searched online about the observation platform and Vorobyovy Gory and I am quite confused . Are these two the same one, the one near MSU? And may I know will there be any entry fee? Which one of two will you recommend if they are different? Yes, the observation platform near MSU and that one on Vorobyovy Gory are the same place. 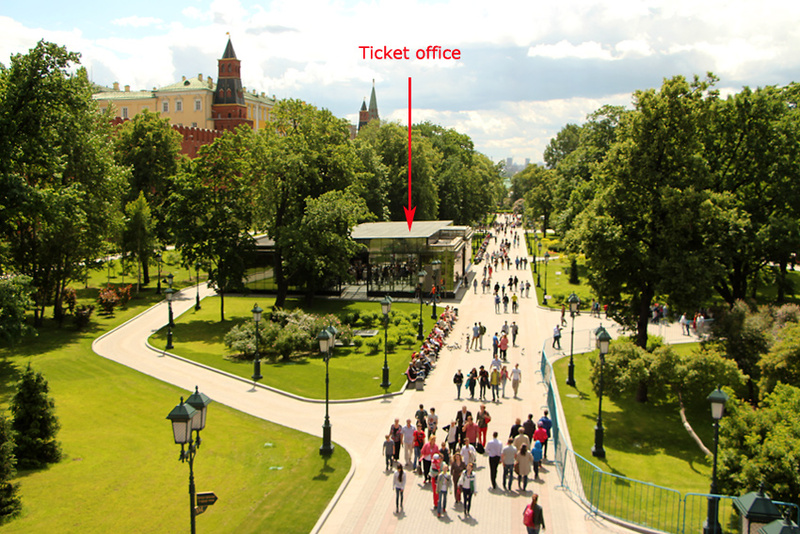 This post will explain you how to get from the Moscow Kremlin to the Kievsky terminal or precisely to Vnukovo (VKO) aeroexpress terminal. Let us start from the Russian state library. We have seen the Kremlin museums, from the central part of Alexander gardens entered the underpass, passed it to the end and once outside looked at F. Dostoevsky monument on the left. Now, please, follow my arrows. We need to enter the metro station Arbatskaya. Olga, the Viking cruise will be docked at the Moscow Northern River Boat Station, Leningradsky Prospekt, Khimki. Do you know how long will it take to get to the Armory if we take the subway? We heard there is a subway, but not sure where it is. Will appreciate any help you can give us. It will take you about 20 minutes walk from the pier to the metro station Rechnoy vokzal and 25 minutes by the green metro line to the station Teatralnaya, which is located in the city centre. GUM celebrates its 120th anniversary. Red square in front of it turns into a patchwork flower carpet.